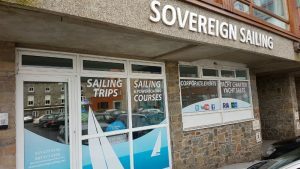 Sovereign Sailing is based at The Trident Marina in Kinsale, County Cork, 30 minutes from Cork Airport by bus or car. Whether you're coming from Cork City or Cork Airport, simply take Kinsale Road south and turn left on Pier Road once you reach Kinsale. Continue on Pier Road until you reach the Trident Hotel. We are in the same car park and marina as the Trident Hotel. You can take the 226 bus (destination Kinsale) directly to Kinsale from both Cork Airport and the Cork city bus terminal, Bus Eireann Bus Station/Parnell Place. For the 226 timetable, please visit Bus Eireann's website here. Note: Be careful not to confuse the 226A bus with the 226 bus. The 226 bus is the only bus that serves Kinsale, while the 226A bus only serves stops between Cork Airport and Cork city.